Offering excellent cut resistance, flexibility and breathability, the Kutlass Ultra-PU Coated Cut-Resistant Gloves promise to boost productivity in wet and oily environments. A generous cuff protects the wrist area, a stainless steel core protects the hand, and high flexibility and dexterity mean the hand stays free but safe at all times. 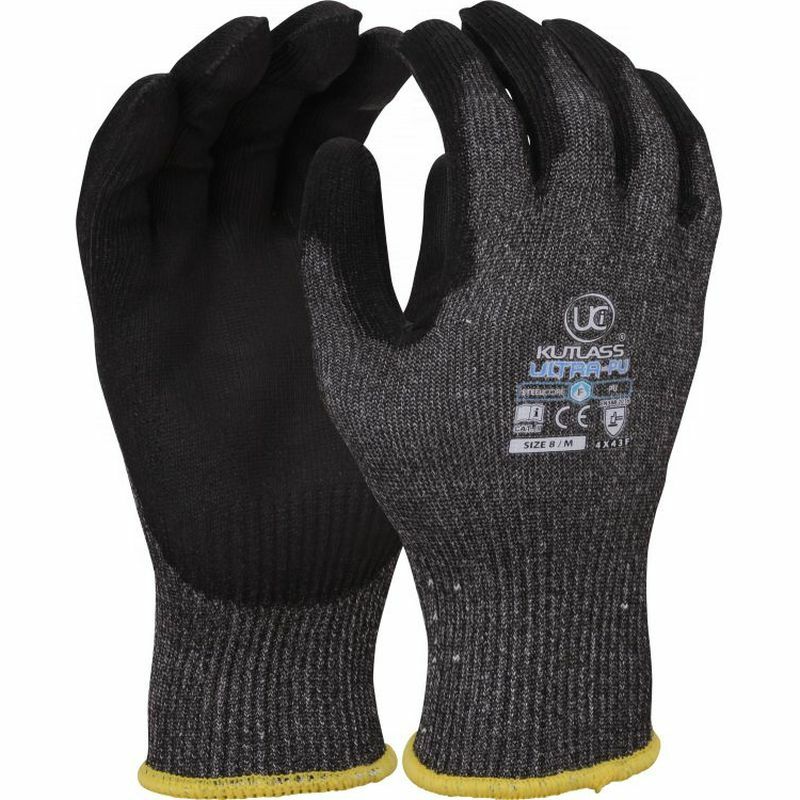 The Kutlass Ultra-PU Coated Gloves provide exceptional level F cut resistance, the highest cut resistance available. Despite this, they still retain exceptional dexterity and sensitivity, while a four yarn special blend that wraps around a steel core offers a cool and comfortable fit. This makes them ideal for extended use across a wide range of applications, particularly those that demand total control in higher risk environments. The Kutlass Ultra-PU Cut-Resistant Gloves are available in three sizes that should be suitable for most users. To find your perfect pair, please measure the circumference and length of your palm and match the results to the table below.